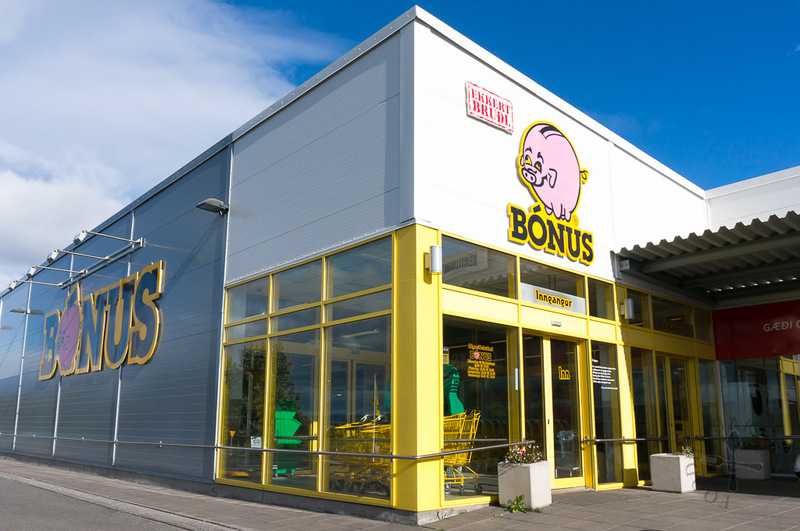 I’m here with a random travelogue on Iceland, just because I love Bónus supermarket very, very much and I think it deserves a post on its own. We spent a pretty long holiday in Iceland (22 days) and if we chose to eat out everyday, our travel expenses will definitely rocket and burn a hole in our pockets because truthfully, dining out in Iceland is expensive. So, to manage our travel expenses, we chose to self-cater for most meals, splurging once every few days on restaurant meals (because I’m a foodie and I cannot stand not eating good food while travelling). 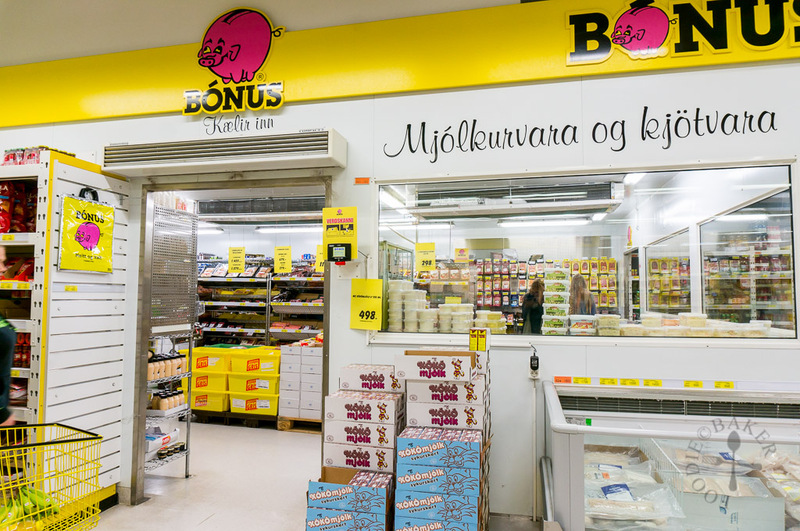 There are a few major supermarkets in Iceland but perhaps the one we frequent most is Bónus supermarket, opened in 1989 by father and son Jóhannes Jónsson and Jón Ásgeir Jóhannesson. 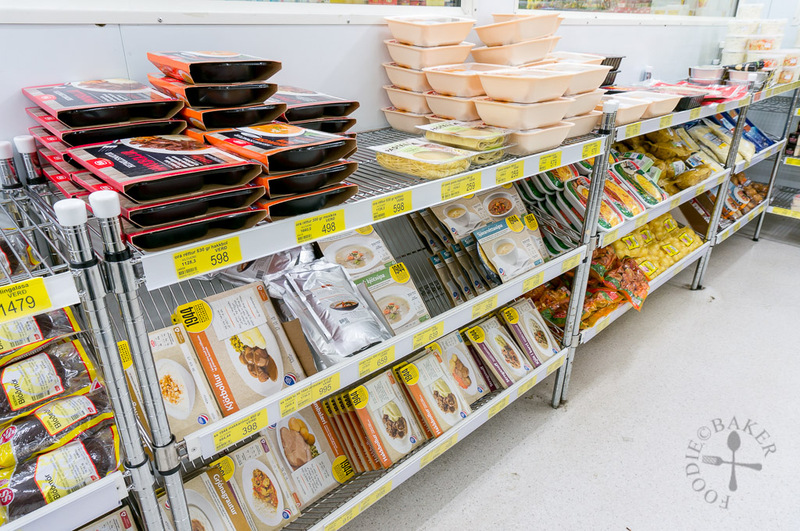 It is perhaps the best-known budget supermarket in Iceland and usually offers the cheapest products – even the locals we chatted with said so! 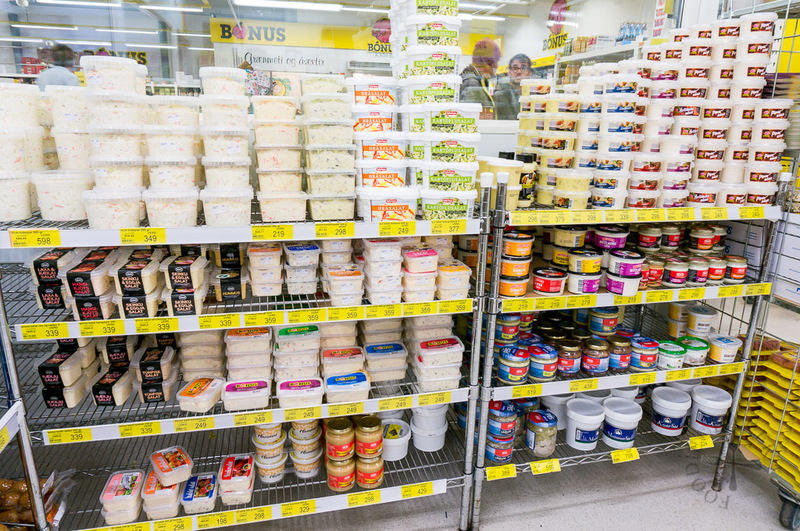 There are Bónus supermarket outlets all around Iceland, so we made sure to head to one to top up our food supply whenever we are near one. Before you head into a Bónus supermarket, do bring along your jacket – I’ll let you know why later. Without further ado, let’s start the Bónus supermarket tour! 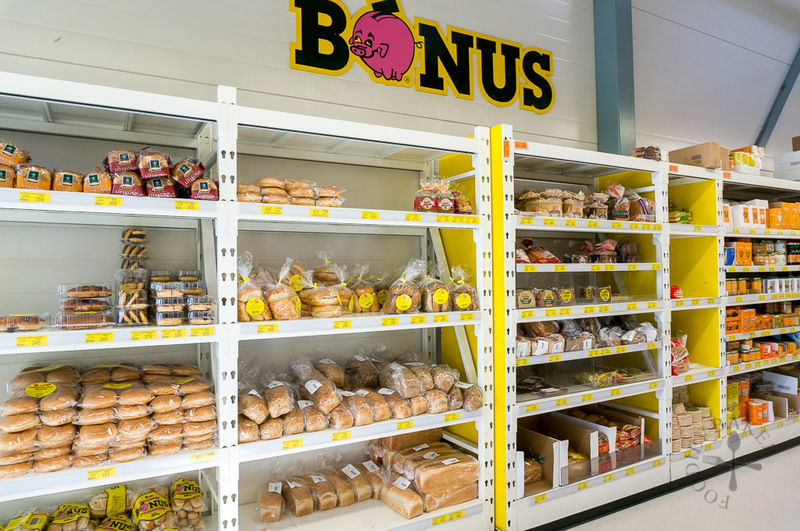 The first thing that greets us whenever we enter a Bónus supermarket is bread – lots and lots of bread in different shapes and sizes. We always get the in-house Bónus brand white bread because it’s the most value-for-money – I think they are about 1kg per loaf (can’t remember the price, sorry). The bread usually expires within a week but we usually finish them about one or two days after the expiry date and well, nothing happened to us. You can also get rye bread, wholemeal bread and even hotdog buns there but they will be a bit more expensive. If you want to get alcohol, it’s best to get it at the Duty-Free shop when you just reach Iceland as alcohol cannot be bought in supermarkets, only in Vinbudin (and they are pricier as well). We did get fruit juices and store them in the cooler box provided by KukuCampers when we rented our car. 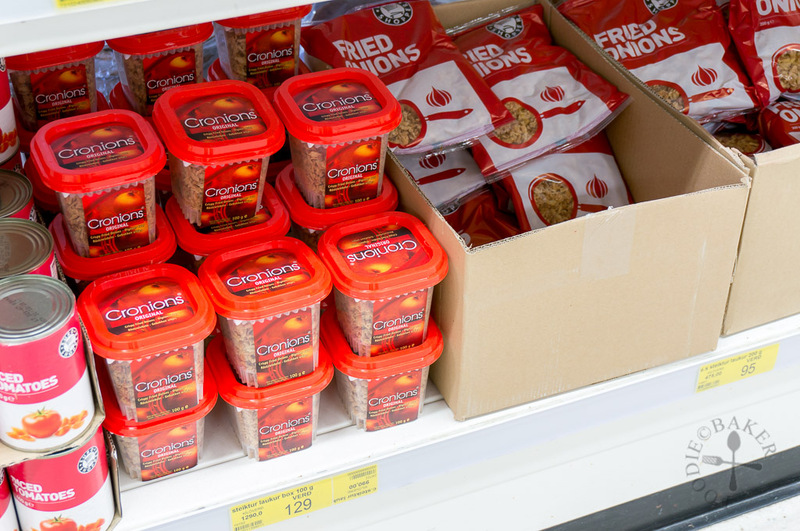 Snacks wise, you can get cereals, potato chips, biscuits, chocolates, and even tortilla chips and salsa dips. 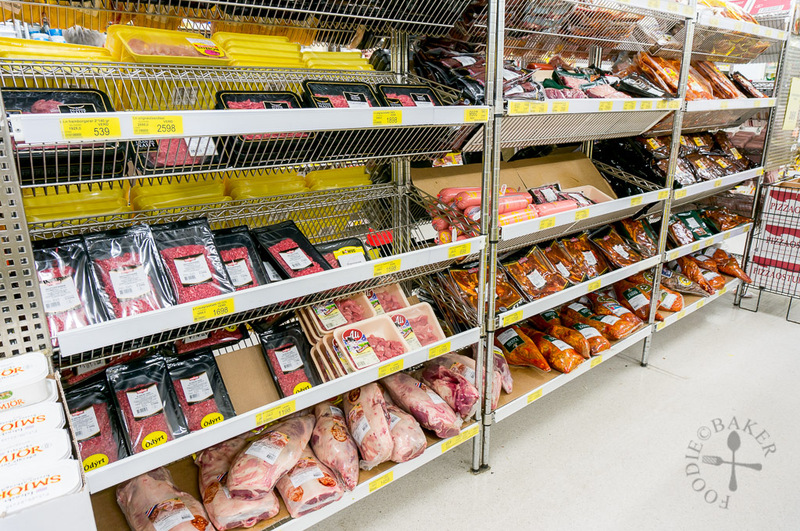 And finally, the highlight and my favourite part of every Bónus supermarket – a walk-in fridge! Yes and this is why you need a jacket – it’s going to be cold in here! I absolutely love these tubs of ready-made salads because they make sandwich-making a breeze. There are various types of salads (mostly cream/mayonnaise-based), but I usually get potato salads, shrimp salads, egg salads or ham salads. Just spread them on a piece of buttered bread and you’ve got yourself and sandwich! The addition of these salads also make a more filling sandwich. Most of our lunches are sandwiches and I usually made them in the morning so during lunch time I don’t have to spend time preparing anything and we can eat them on-the-go. There are also microwave meals available but we didn’t get to try those and we don’t have access to a microwave easily. 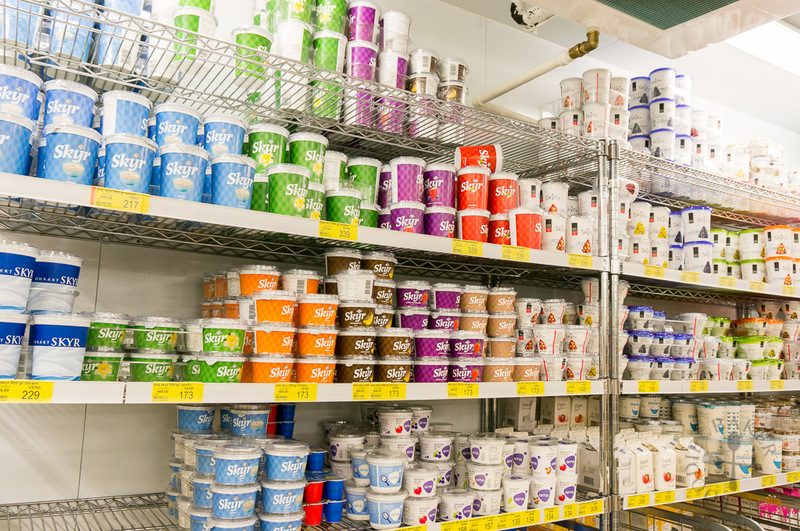 Skyr is an Icelandic dairy product that is somewhat like yogurt. There are plenty of brands and plenty of flavours. The locals buy them in trays while travellers like me only buy one or two at a time. I like the vanilla-flavoured ones as they are not as sweet as those with fruits. I ate them with my homemade granola I brought over to Iceland for breakfast and sometimes as snacks. There are of course other dairy products like milk, soy milk etc. available for purchase. And how can we forget the meat? 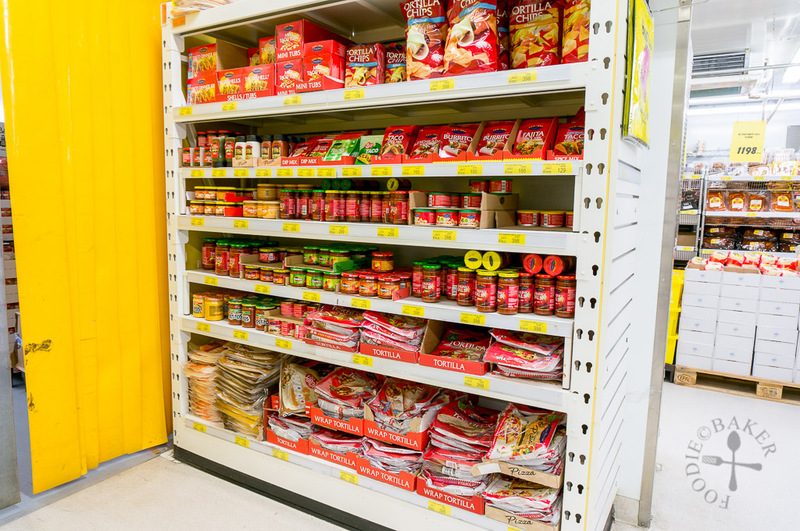 I think the most amount of processed food I ate in 2015 was during the Iceland trip (not really a good thing I think). Sometimes we would grab a packet of ham and add them into the sandwich with the ready-made salads for an even more satisfying meal. I also bought sausages a few times throughout the trip and added them into sandwiches (I will boil the sausages first before using) or pasta soups. We tried buying raw meat once but the cooler in the car is not cold enough to keep the meat from spoiling so we did not buy them anymore after our first grocery shopping. P.S. If you see the bottom-left corner of the above photo, you will see tubs with the word “Smjor” on it. It’s actually an Icelandic butter and you must try it – I don’t know if it’s the cows in Iceland but the butter tastes extremely good! There’s also a walk-in fridge for the vegetables and fruits section. When we first shopped at Bónus, we still bought some baby spinach, onions and carrots but to chop them up can be a chore sometimes and the baby spinach spoils pretty fast so we stopped buying them after we finished them. We usually buy some bananas to eat either for breakfast or along the way when we are feeling hungry. An additional item I love to add in my sandwiches are these cronions – which are basically just fried onions. They add crunch and flavour and are really delicious! 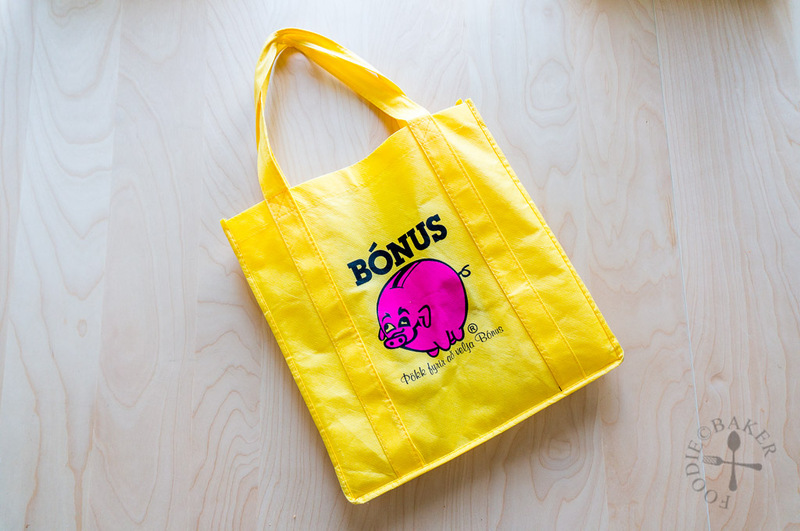 Lastly, you need to pay for plastic bags in Iceland supermarkets (if I didn’t remember wrongly), so do yourself and the environment a favour and buy a reusable bag from Bónus! This Bónus bag makes the best souvenir for me ever (I regret only buying 1)! And that’s all! Do also check out the below posts! Till the next travelogue, bye! 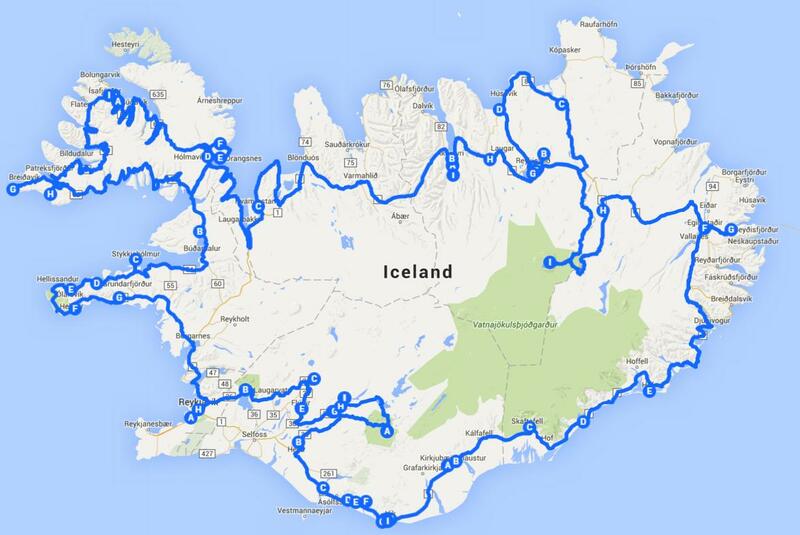 I just wanted to let you know how useful your travel blog was to our plan our trip toIceland. Thanks for all your helpful tips. We drove the ring road in two weeks and stopped at many places you recommended. Thanks for all the work you put into your different chapters and just know it helps other travelers plan their trip! Bonus was our place to go. We’ve made 4 trips to Iceland so far. In addition to food, they also have souvenirs at a VERY reasonable price! Hi there, do you remember the location of the bonus you went? I read online that each bonus varies in their products. The one you went to seems to carry more products as compared to those i saw on other blogs. Hi Sharon! Unfortunately no I don’t remember the outlet I took the photos of, but if you go to the Bonus outlets that are out of Reykjavik, they are usually larger in size and have more products! Thank you so much for all details..very useful for me who planned to go to Iceland next february. Btw..did you see any rice in supermarket? You are welcome Novi! I think there should be rice in the supermarket! Do you remember how much is the reusable bag from Bonus cost? Thanks. Hi Erica, sorry I don’t remember! I only know it’s not very expensive! Have a fun trip in Iceland! Thank you so much for writing this brilliant post. Am heading up to Iceland in four days and being six of us I really need to save. You help a lot setting my expectations – brilliant! Hi Jasline I chanced upon your blog and it was very very easy to understand and very very detailed. 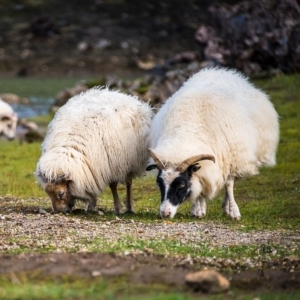 I have a nagging question though – how did you keep track of what you did in Iceland…do you keep a diary or do you use an app to record everything you did….do you mind sharing. Greetings from a fellow Singaporean. Thanks. 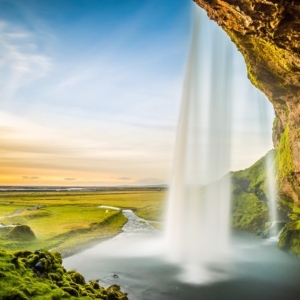 Have fun planning for your Iceland trip! Thanks Jasline for your advice. Really appreciate it. Looking forward to reading more of your blog. Be blessed. Oh my God! Bonus is good and cheap? As well as Netto. I have never seen so poor choice of products and goods supply. And it isn’t cheap at all. And I was shocked that there is no really good supermarket in Iceland. Hi Luliia, will you let us know which supermarket is good and cheap in Iceland then? This will be beneficial for other travellers, thanks! Seriously! We rented an apartment, so Bonus was a great way to save some dough. We even went to Kronan once to see what they had. It was nice partaking in the local foods. You know the best way to really understand the culture of a country is through their food. It is so fun checking out all of their different items for purchase. I AM OBSESSED with grocery shopping so I ADORE THIS POST! ADORE IT! 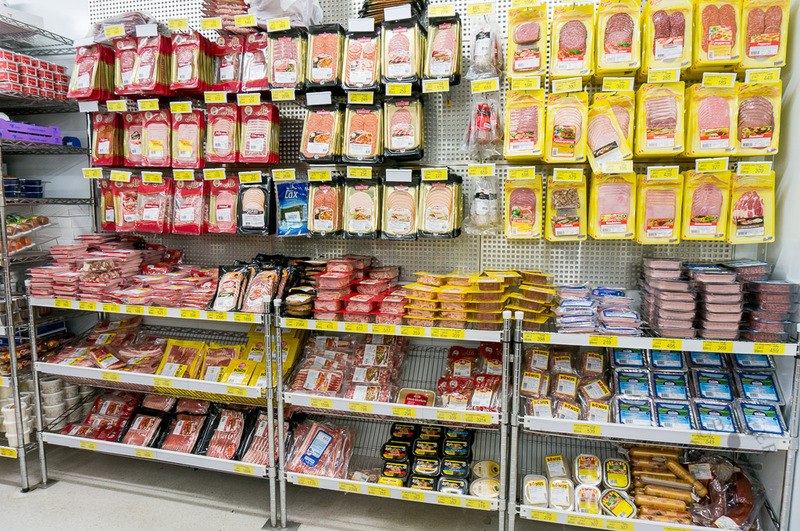 When I go to foreign countries I love going to their supermarkets – there is just so much culture!! I know! 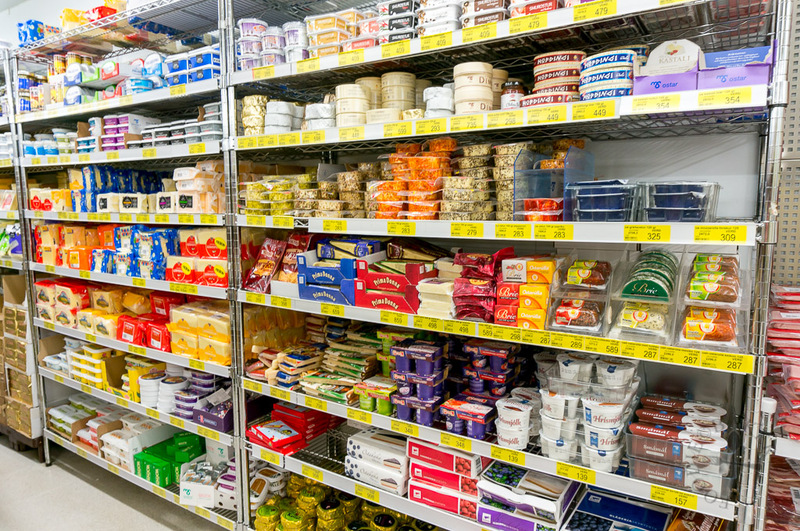 I love to do a supermarket tour whenever I’m overseas too, it’s so fun discovering products that I’ve never seen before! Thanks for giving us a tour! Wow. 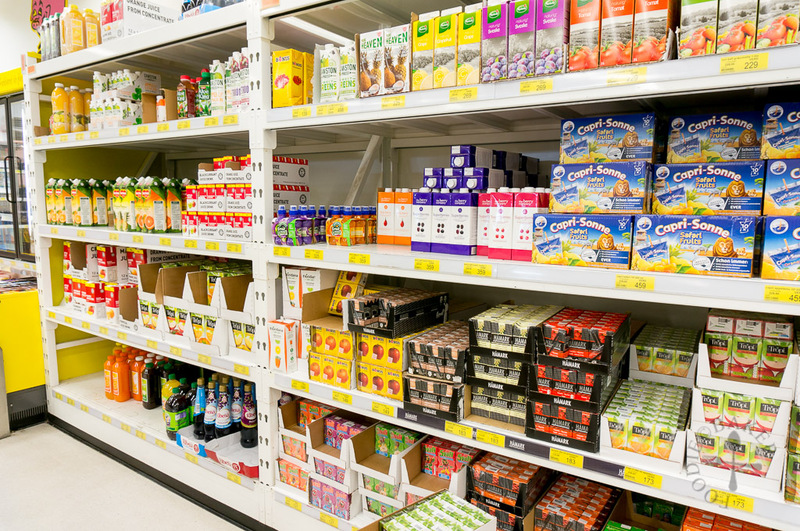 The bonus supermarket is surely packed with everything you need. It’s amazing!